The pumpkin named after my grandpa whom pasted away on New Year's eve bit the dust this last week. When I measured it on Thursday I was surprised to see no growth because six days prior it seemed to be growing at a steady rate. Today I measured again and no growth. 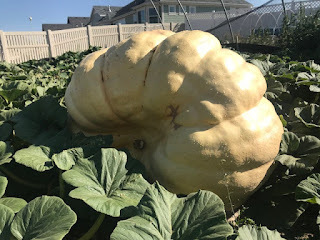 My son's plant next to it seems to have yellow vine disease, but this plant and the pumpkin show no signs of disease or a split. It happens. 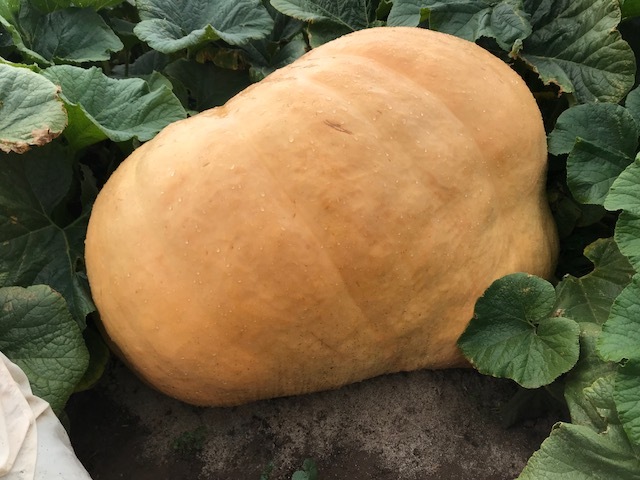 I haven't measured the 2145 pumpkin (Uncle Sam), but it is easy to see that it is still growing. It is the final hope now. Today I gave the plants a mixture of 21-0-0 and 5-2-0. I did the mixture because the ammonium sulfate is pretty fast acting and the 5-2-0 is an organic fertilizer that will be slower release.